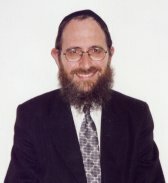 Director: Rabbi Michoel Fletcher, formerly Rabbi in Scotland, UK. Achuzat Kever: An English-speaking, Israel-based organization set up to facilitate the hassle-free purchasing of burial plots in Israel by Jews in the Diaspora. We offer twenty-four hour service to arrange transport of casket to Israel. We ease the difficulties of recently bereaved families by making all the practical arrangements at their time of need. We arrange for the erection of the tombstone and, if necessary, for kaddish to be said. We have extensive knowledge and experience in matters relating to burial sites and funerals in Israel and the Diaspora. By showing a variety of locations and prices, we can save you thousands of dollars.